The Sun stream abundant amounts of radiation into our atmosphere daily and it’s well known that the Sun is the best source for stimulating the production of vitamin D within the body which is an essential nutrient. There is another way in which the Sun heals and boosts the endocrine system. The invisible ultraviolet band of the spectrum in heliotherapy essential to activate the receptor in the eye: being the retina. A layer of cells called the epithelial cells become highly neuroactive when exposed to ultraviolet radiation, without distorting vision. While the visible bands of light excite the retina’s rods and cones to produce vision, the invisible ultraviolet band stimulates the adjacent epithelial cells, which transmit the stimulus as a powerful neural Impulse through the optic nerve directly to the pituitary and pineal glands. First, it must be done within the hour after sunrise or before sunset to avoid damaging the eyes. It is important to only look at the sun when it is orange or red per the ancients. Looking at the sun when it is yellow or white, or uncomfortable in any way is not recommended. Second, you must be barefoot, in contact with the actual earth – sand, soil or mud; and finally, you must begin with only 10 seconds the first day, increasing by 10 second intervals each day you practice. Following these rules make the practice safe, say sources. Others have reported losing the need for food after only 9 months of sun gazing (by which time the practitioner has worked up to a maximum of 44 minutes). After 9 months of practice, you need only walk barefoot on the earth for 45 minutes per day, 6 days in a row to further the process of what has been initiated by sun gazing. During your first 3 months of practice, the Sun’s energy is moving through the eyes and charging the hypothalamus tract. The hypothalamus tract is the pathway to the rear of the retina which leads to the brain. The brain then, over time, becomes activated by the energy supply being received by the Sun. You will first experience a relief of mental tension and worry, since most worry is fueled by the energy received by the foods we eat. Since food gets its energy from the sun, it is said to be readily available to Sun-eaters without the trouble of digestion. Though hunger is said to eventually cease, it is fine to continue eating regularly during initial stages, until appetite disappears naturally. Another benefit early on is said to be an increase in confidence and an ability to easily solve your problems, as you are without tension. By the end of 3 months, the gazing time will have increased to 15 minutes per day. Reports on sun gazing say that the bad qualities normally associated with any person will gradually disappear and good qualities will remain, explaining that ‘bad qualities’ only develop in the absence of sunlight. Bad qualities like anger, fear, jealousy, lust – are said to disappear – and be replaced by a certain confidence and ‘spiritual knowing’ that senses more purely the heart of an issue. At 3-6 months of sun gazing, the studies show that physical diseases start to disappear. They say that by the time one is gazing 30 minutes per day (building up 10 seconds per day) all the colours of the sun will have reached the brain. Colour therapists attribute their healing of certain diseases to flooding the body and brain with the colour that is lacking – depending on the ailment. For example, in liver disease, the colour green is deficient. The kidneys need red, and the heart, yellow. All the organs and all the systems are said to respond to different colours of the rainbow, which is why it is also recommended to eat a diet rich in a variety of colours. It is recommended during the 3-4-month period that you use autosuggestion to see your body already healed of any perceived weakness or disease. This action will facilitate the process of returning to wholeness. As you continue the process, it is reported that after 6 months, the energy stored from the technique is no longer being used for repairing the body or the mind and can move now into supporting you in gaining more super-human abilities. Activating the pineal gland is a key point in the next stage of human evolution. Light activates the full potential of the brain bringing forth infinite inherent powers that have remained dormant for millennia. Since the pineal gland is sensitive to light we use solar energy and convert it to physical nourishment. The suns energy is a source that powers the brain and the human eye is the only organ where the sun can either enter or leave the human body. While the eyes are the sun energy’s entry way to the human brain, the age-old healing ritual of solar gazing (practiced by ancient Egyptians, Aztecs, Mayans, in Tibetan Yoga and some traditions of Qi Gong, Tai Chi, and by some Native American tribes) enables us to receive nourishment, healing and spiritual enlightenment. Devoted Sun gazers claim better physical, mental, emotional and spiritual health as well as being able to sustain oneself on solar energy alone for very long periods without eating any food. Strict long-term fasting under the control and observation of various scientific and medical teams revealed a regeneration of the brains grey cells and the expansion of the pineal gland rather than its typical shrinking. Sun gazing is done only during the first hour after sunrise or the last hour before sunset, when the sun’s rays are most gentle to the eyes. If gazing is not done around dawn or sunset and is performed at other hours it will result in serious damage to the retina. The pineal gland responds to the bio-electric signals of light and dark, and meditation activates this bio-electric energy. With practice, you can learn to direct this energy to this highly-sensitive organ. Stresses that affect pineal function include unusual light and dark rhythms, radiation, magnetic fields, nutritional imbalances, temperature swings, high altitude, and overall daily stress patterns. 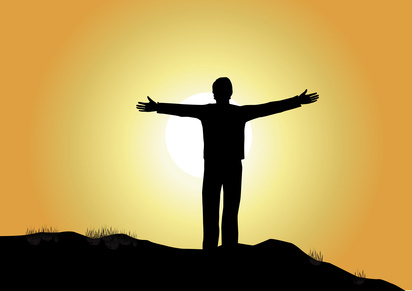 After 9 months of Sun-gazing – reaching a maximum of 44 minutes – it is advised that you give up sun-gazing and redirect your attention now to the Earth. For 6 days straight, one is to walk barefoot on the earth, 45 minutes per day. During this barefoot walking, the pineal gland is said to become activated. Professional Sun gazers and those researching the science say that each toe is connected to a specific gland, and by walking barefoot on the Earth, you activate these glands. Walking barefoot, with the sun now falling on the top of your head, practitioners claim to create a sort of magnetic field in and around your body that recharges you and your brain. Apparently, this walking barefoot part is the most important aspect of the practice. As you continue walking on the Earth, this is when the magic begins. The pineal gland is activated more and more by this walking procedure. Intellect is said to increase, along with memory. The pineal gland has navigational and psychic capabilities, meaning telepathy and the possibility of flight. If you can barefoot walk 45 minutes every day for a year – you are golden. At that point, only a maintenance of 3-4 days a week is necessary to maintain the capabilities you have acquired. Doctors and eye care professionals caution against looking directly at the Sun, saying that it will damage the retina. However, if done correctly, Sun-gazing at the correct times of day, sunrise and sunset, studies show there is no risk of damaging the eyes. 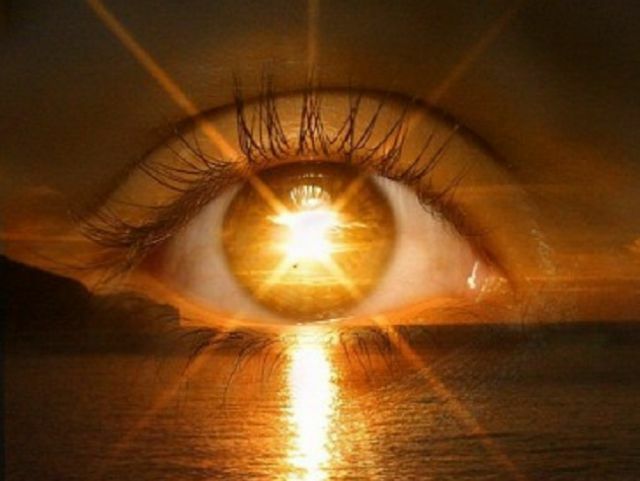 Those who have been Sun gazing for many years have had their eyes checked to show no damage, though it is advised that you have your eyes checked in the first few weeks of your practice, so you can know for yourself.